The no work, no stress way to a beautiful yard! I'm Barbara Peters, sometimes mistaken for "Grace", and owner of Gardening Graces. Read more about that and how Gardening Graces Got It's Name. Please stay for a few minutes. Scroll down and read all Gardening Graces can do for you! Clicking the links and tabs will take you through the site allowing you to view our work. Read below to see why it is crucial that you not only provide landscaping for your home but maintain it as well. And if needed, let us implement a landscaping restoration. At Gardening Graces, we take the worry, stress and work out of landscaping. You'll know we were there. Make sure you check out the newsletter archives for garden tips. Exciting Before and After presentations as well as many other photos of our work. Arrange a personal consultation for your gardening and landscaping needs, be they design, maintenance restoration or renovation. IF YOU LIVE IN SOUTHEAST MIGHIGAN, IT'S A GREAT TIME TO CONSIDER ALL YOUR GARDEN AND LANDSCAPING PLANS & NEEDS WITH GARDENING GRACES. Gardening Graces offers landscape design, landscape maintenance, updating and restoration. All this is accompanied by highly personalized service. You will know that you are not just another client and that your wishes matter the most. Gardening Graces will serve your landscaping needs, including landscaping maintenance, landscape design, annual flower installation, and creative gardening work. Let us help you solve your deer problems or maybe show you how to grow your own vegetables. As always, your satisfaction will be our number one priority. You'll love the unique and personalized care that goes into plant selection, landscaping maintenance, installations and design creation. We offer personalized, unique landscaping designs, restoration, landscape maintenance and creative gardening options for your home or business in Ann Arbor, Plymouth, Canton, Dexter, Ypsilanti, Northville, and other communities in southeast Michigan. Our creative gardening techniques seek to meet and match YOUR expectations! If you live in southeast Michigan it pays to give us a call. Schedule a private, personal consultation for unique landscaping designs, creative gardening and ideas that will fit YOUR style and bring YOUR landscaping to the next level! NEW CLIENTS ARE BY CONSULTATION AND REFERRAL ONLY PLEASE. Consultations are $85 and last about one hour. 734-482-8230 or email us by clicking here. Your landscaping impacts your life more than you think! It is so important to first install landscaping and continue to perform landscaping maintenance as well. HERE'S WHY LANDSCAPING & ATTENTIVE YARD MAINTENANCE IS VITAL! 15% is added to the value of your home through your landscaping. The entrance is the first and last place viewed by a visitor or buyer. A buyer, visitor, or passer-by will usually form their opinion of your home simply by a curbside view. Make the most of it by enhancing your landscaping! Maintain your investment by keeping your plants healthy and sized appropriately and making sure your landscaping displays and reaches its full potential and beauty. 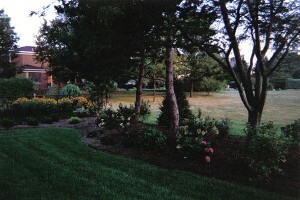 Contact Gardening Graces LLC for unique and creative landscaping and gardening services, landscape design, planting, garden maintenance, annual flower planting in Ypsilanti, Ann Arbor, Plymouth, Dexter, Canton, Northville, Chelsea southeast Michigan. 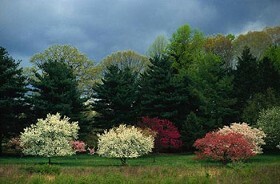 "Barb, Every time I look around our yard, I feel like I am in Heaven. Everything looks so beautiful. Thanks for all your good work. Happy Summer!" "Barb, You bring such pleasure to people with your work. When a person looks outside his window, he can feel a smile coming on his face. You help God show the beauty of his work. Thanks so much." 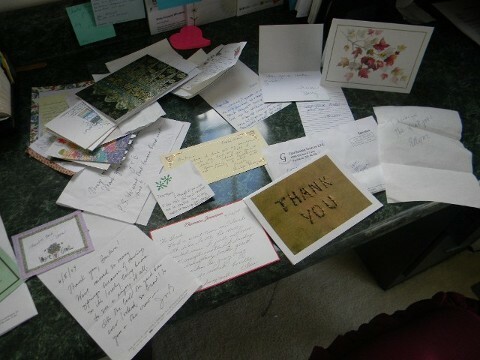 "Dear Barb - Thanks for the great job! I'm very pleased with the 'refresh' on my yard. Now I am looking forward to peony blooms next year too." "Dear Barbara, Just back from Calgary, Alberta. Everything looks just wonderful! So nice to come back and not find that neglected look. We noted the changes for which we are thankful. Have a great end of summer!" Contact Gardening Graces for your consultation for landscaping and creative gardening services, landscape design, and annual flower installation in Ypsilanti, Ann Arbor, Dexter, and Plymouth, Michigan and other areas in the greater southeastern Michigan community. 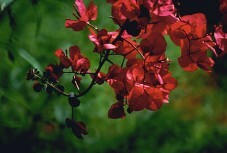 Providing: Gardening & Landscaping Design Services, Residential Garden Planting, Landscape Maintenance, Flowers & Photos. Serving: Canton, Northville, Dexter, Ann Arbor, Plymouth, Ypsilanti, Southeast Michigan (MI) and surrounding areas.